Check with your local public library to see what books and services they have. Ask about Interlibrary Loan at your library. Most libraries will request books from other libraries for you. If you are at an extension site, check with your site coordinator about agreements with local libraries. If you are in Illinois, you can use I-Share. 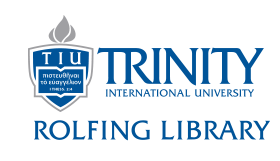 A number of theological libraries across the U.S. will allow TIU students to check-out books. When you go to the library, show proof of enrollment at TIU (such as your student ID card or bill statement). If you are not able to get a book at a nearby library, you may request that it be sent to you from Rolfing library. First, be sure to create an WorldShare account, so we will have your information. 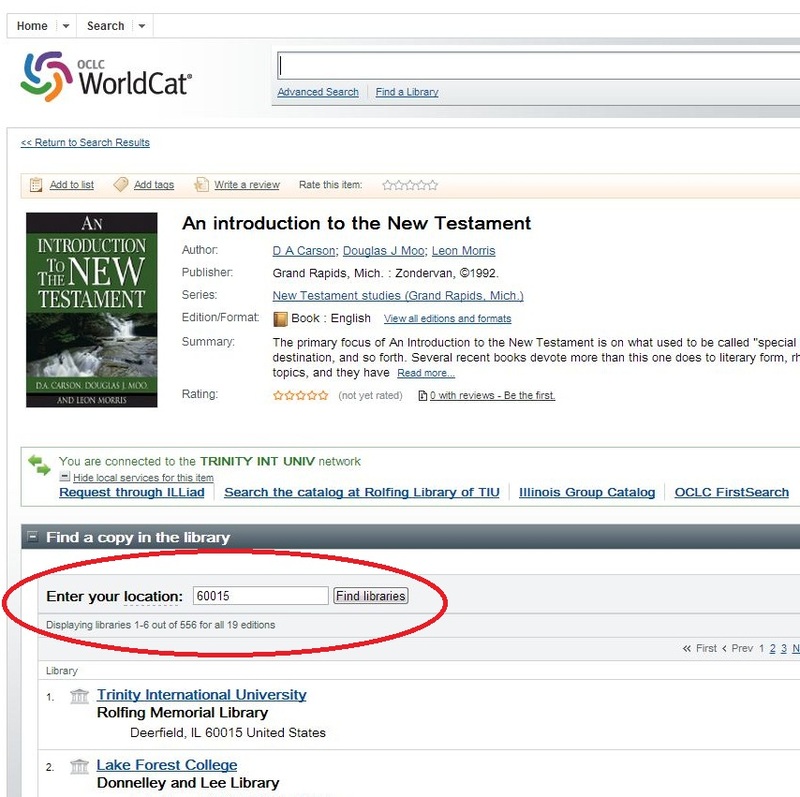 Then search in TrinCat to see if the Trinity library has the book. If the item is not available at the Trinity library, we are unable to fulfill your request. 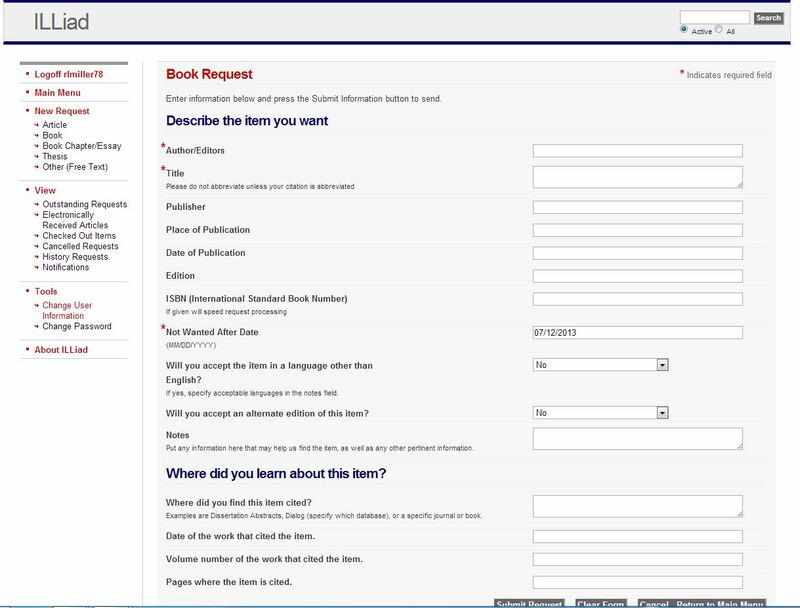 When you find the book, log in to your WorldShare Account and click on "New Request-Book" on the left-hand side of the page and fill out the form. (See example.) Include a note in the notes field saying that you are a distance student. You may request up to 10 books per week. Rolfing Library is able to ship books to any continental US state and you will be responsible for timely return postage.